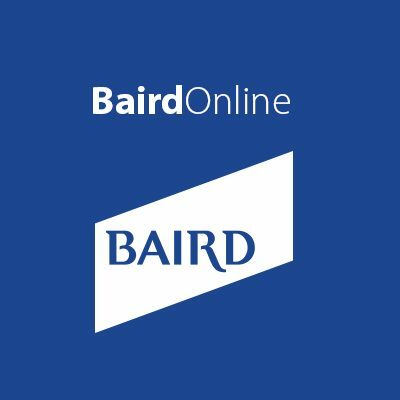 Baird is an international wealth management, capital markets, asset management and private equity firm. Thanks to our independent, employee-owned structure, each one of our associates worldwide shares a real stake in your success. We know from experience that the only way to help you reach your goals is to keep your best interests in mind – always. Quality is our measure of success. The best financial advice is the result of expertise and teamwork. How we succeed is as important as if we succeed. We seek personal balance in home, work and community involvement. 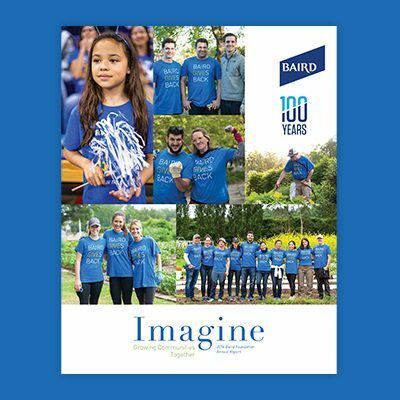 ©2018 Robert W. Baird & Co. Incorporated. 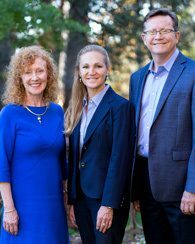 Baird Financial Advisors may only conduct business with residents of the states or jurisdictions in which they are properly registered or licensed and not all of the securities, products and services mentioned are available in every state or jurisdiction. Please visit FINRA’s BrokerCheck for specific state securities licensing for each Financial Advisor. This Website is informational purposes and is not an offer or solicitation of an offer to buy or sell any securities, products or services. This site is for residents of the United States. Baird does not offer tax or legal advice. Securities, products and services are offered through Robert W. Baird & Co. Incorporated. Member NYSE and SIPC.